1. Mix the yuzu tea with hot water, set aside and let it cool. 2. Cream the egg yolks and sugar together, whisk till you get a creamy batter. Add in the canola oil and mix till well combined. Add in the yuzu mixture, stir well. Finally, add in the sifted flour and baking powder, mix till well blended. 3. In another clean bowl, using an electric mixer to whisk the egg whites, till you get a frothy batter, add in the sugar at 3 times then add in ½ tsp cornflour. Whisk till stiff peaks. 4. Take 1/3 of the egg white mixture and mix into the egg yolk mixture, blend well. Pour the egg yolk mixture into the remaining egg white batter to get a well combined mixture. 5. Pour the batter into a 6" paper chiffon mould and select "CAKE". 6. 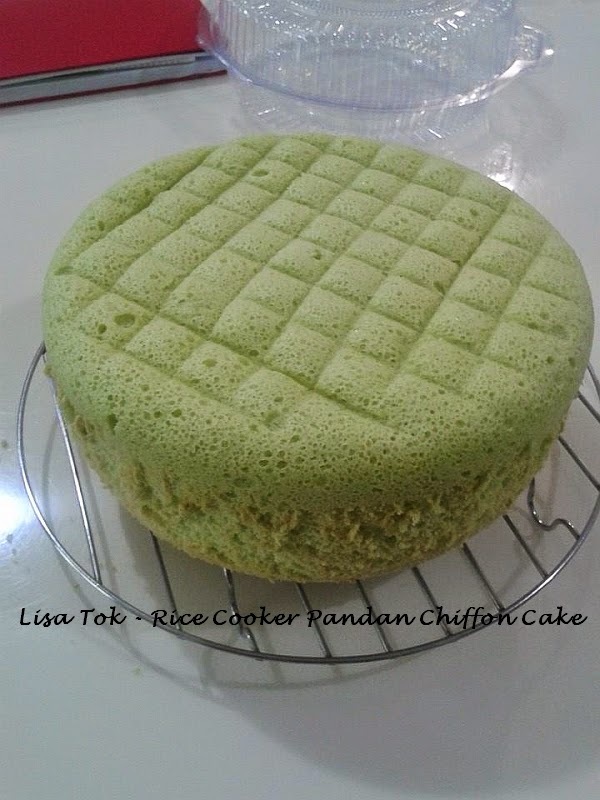 Once ready, remove the chiffon mould from the rice cooker and let it cool before serving. Cake function took about 73mins to complete 1 cycle. 1) Sift together cake flour, baking powder and salt into a bowl and set aside. 2) In a large bowl use hand-whisk to mix the egg yolks and sugar, till sugar dissolved. Then add vegetable oil, yogurt, and mango puree, mix well and lastly add fresh mango into it. 3) Fold in the flour mixture to the egg yolk mixture and mix together till well combined. 4) In a separate bowl, whisk the egg whites with the corn-flour till foamy. Gradually add in the sugar as you continue to beat the whites until it is glossy and reaches firm peaks. 5) Take 1/3 of the egg white mixture and mix into the egg yolk mixture, blend well. Pour the egg yolk mixture into the remaining egg white batter to get a well-combined mixture. 6) Pour the batter into a 6" paper chiffon mould and select "CAKE". 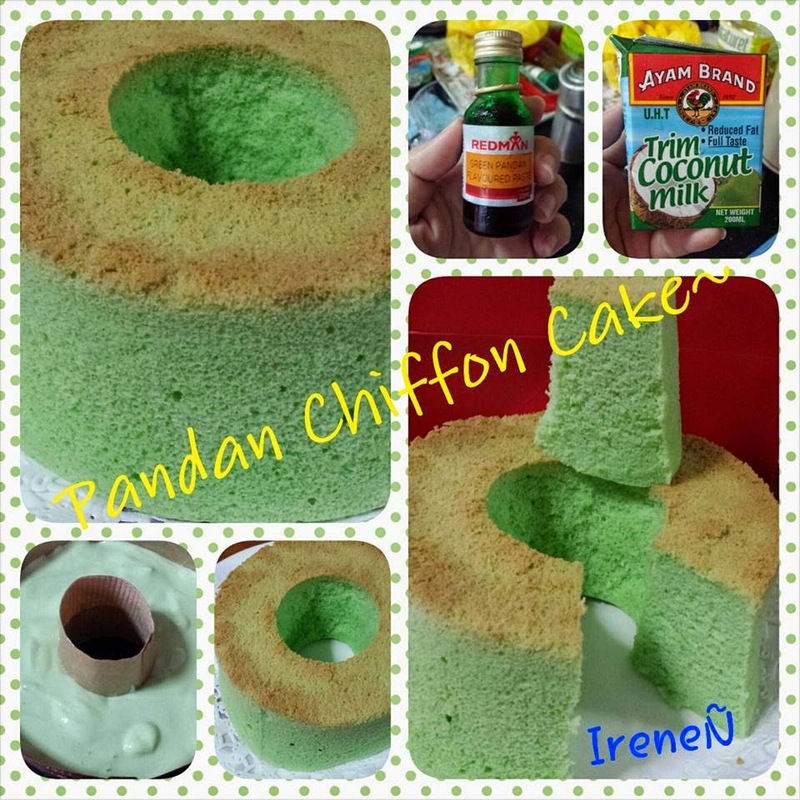 7) Once ready, remove the chiffon mould from the rice cooker and let it cool before serving. 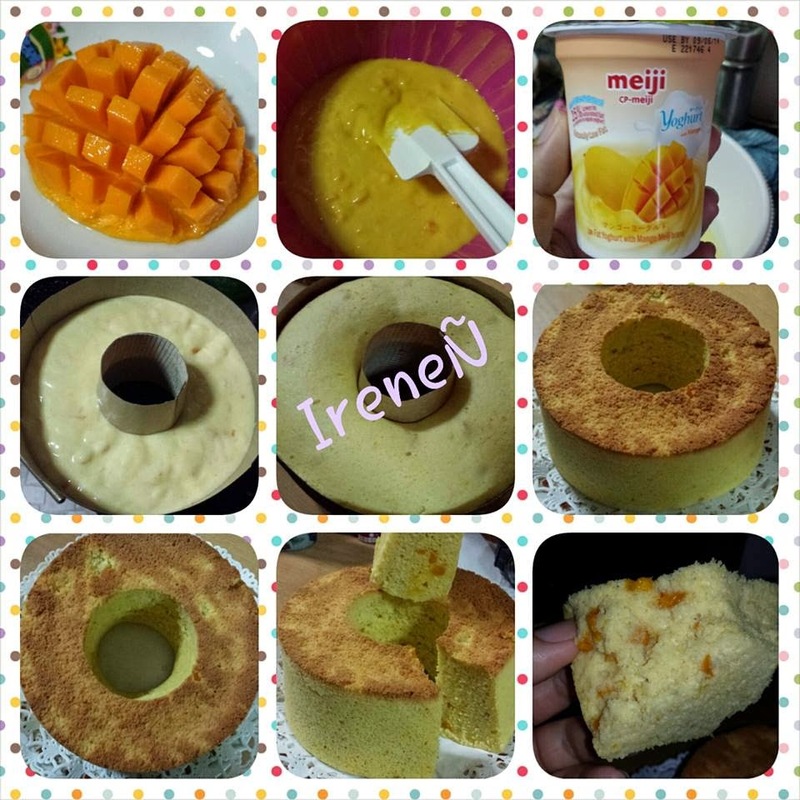 b) Used less than 3 tbsp of fresh mango puree hence not much taste of mango flavour. 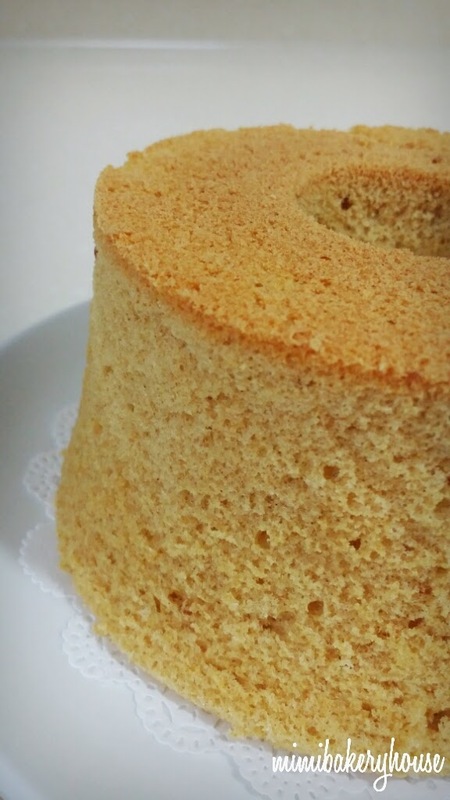 Original Recipe adapted and modified from Everybody Eats Well in Flanders' Yuzu Tea Chiffon Cake, with no amendments made to recipe except to bake in rice cooker. - Beat the egg yolks with a balloon whisk and mix in 20 grams of sugar. Add coconut milk and pandan paste. Combine well. - Sift in cake flour and baking powder in three batches into the egg yolk mixture. Mix well. Lastly, add veg oil. Set aside. - Use a large clean bowl, making sure there’s no water or oil in it. Beat the egg whites with an electric mixer until bubbles form. Add the corn flour. After mixing well, add the 60 grams of sugar in three batches, about one-third at a time, and beat well between additions. Continue to beat until stiff peaks form. - Spoon out 1/3 of the beaten egg whites and fold into the egg mixture. Lightly fold in the rest of the beaten egg whites with a spatula, until just combined. 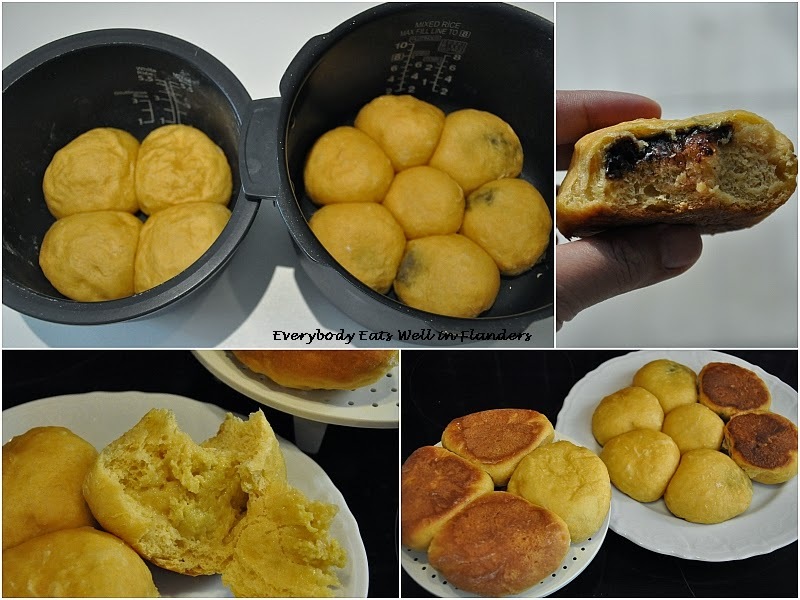 - Pour batter into mould and place into rice cooker and cook. - Once cooked, remove cake from RC, invert mould and allow it to cool. 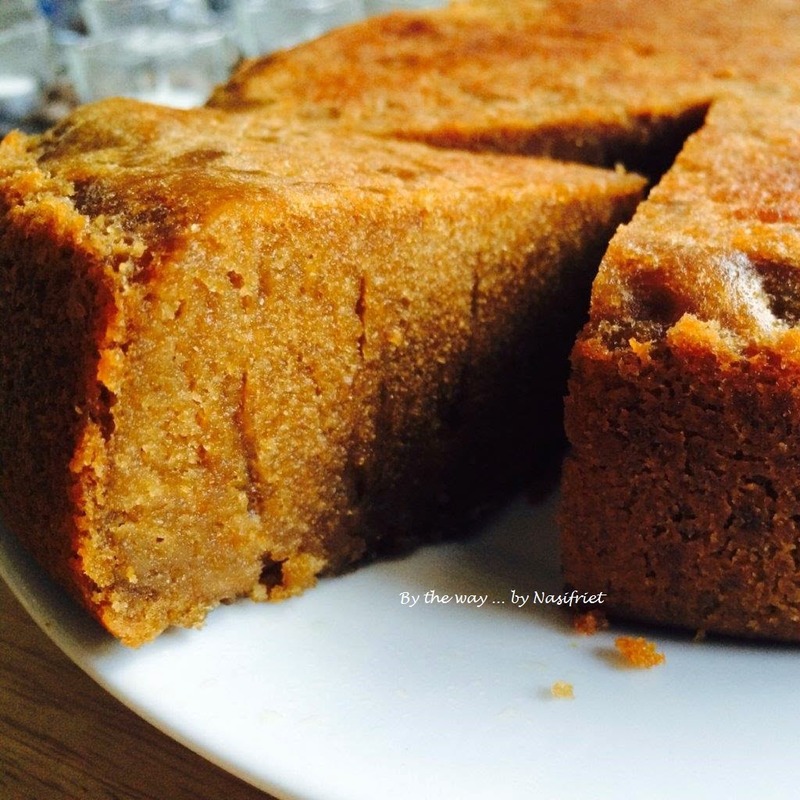 19) Rice Cooker Marble Cake by Cat from Malaysia (reader), based on my RCC #1 recipe. 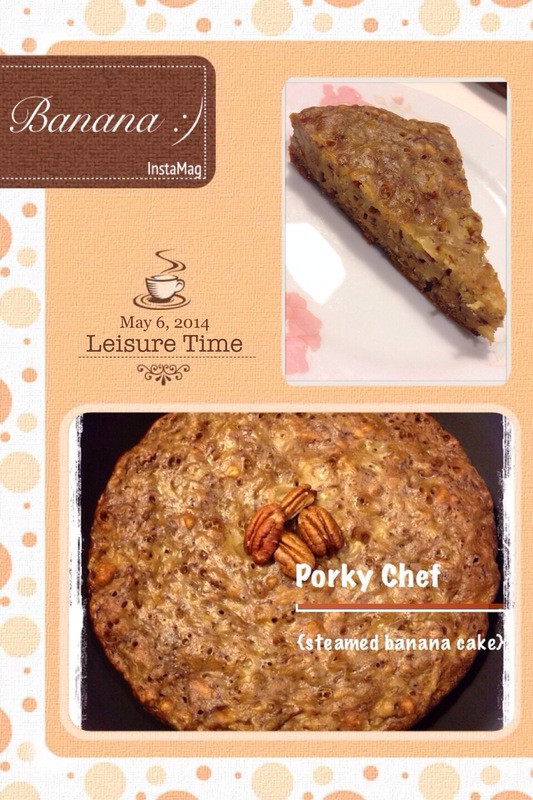 She was using her Panasonic 10-cup rice cooker (SR-MPA18) without baking function, cooked for 43 min. 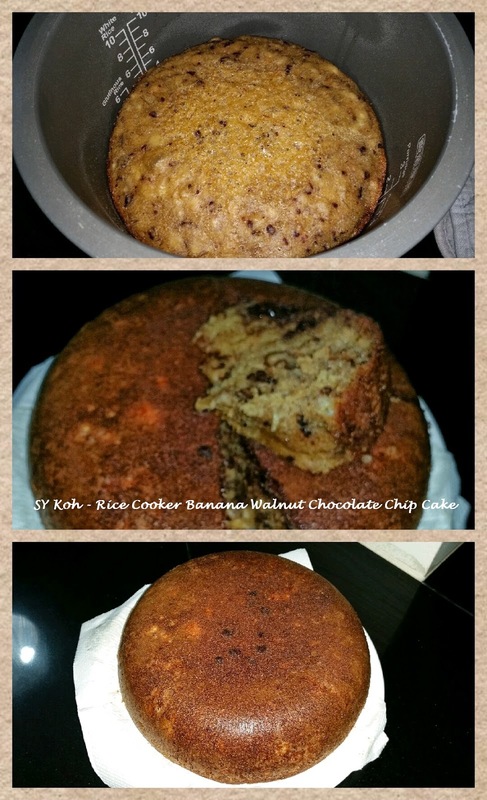 20) Rice Cooker Banana Walnut Chocolate Chip Cake by SY Koh (reader) based on my RCC #4 recipe (4 eggs version). 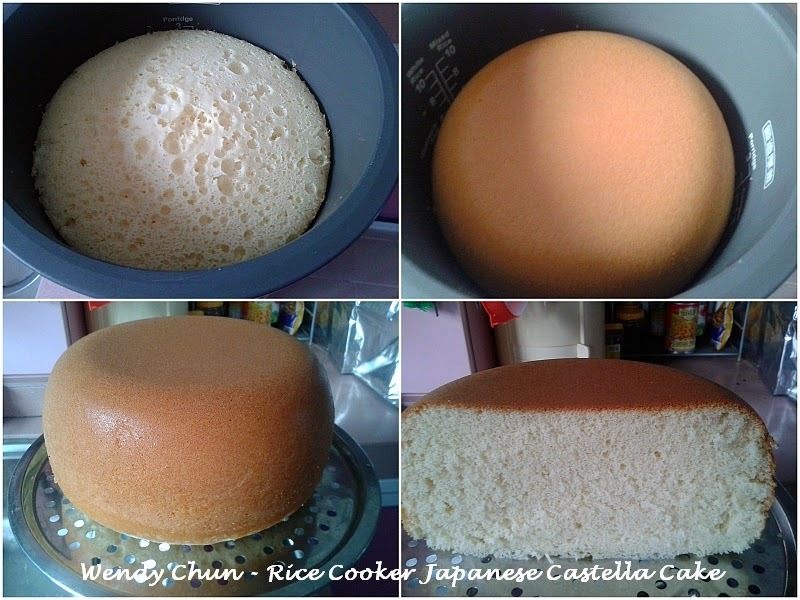 She was using Toshiba 10-cup rice cooker with baking function, baked for 1 hour. She reduced the sugar to 150g and sprinkled chocolate chips on top just before baking. 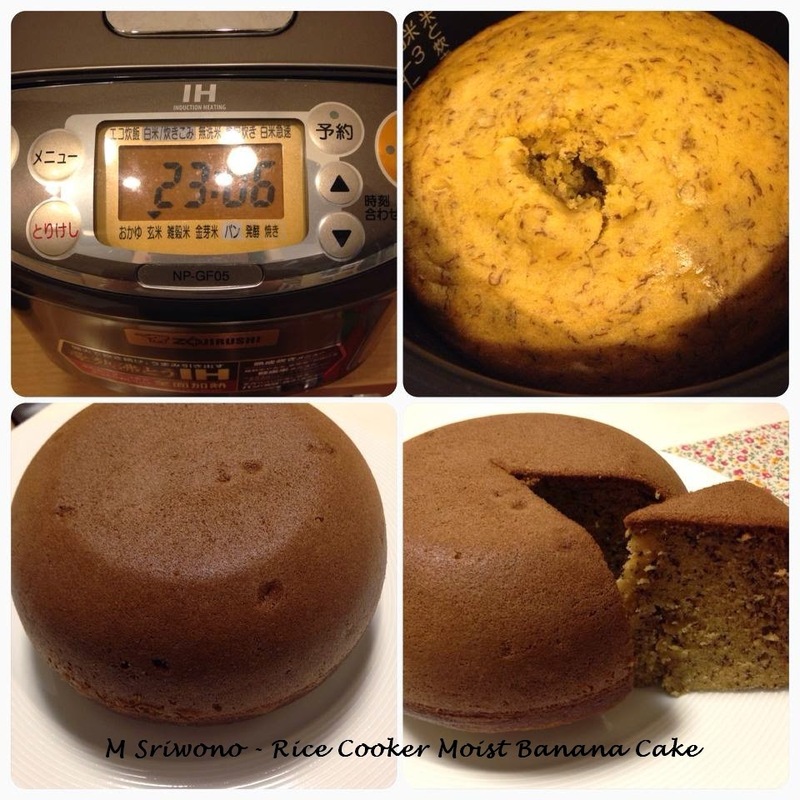 21) Rice Cooker Moist Banana Cake by M. Sriwono (reader) based on my RCC #4 recipe. 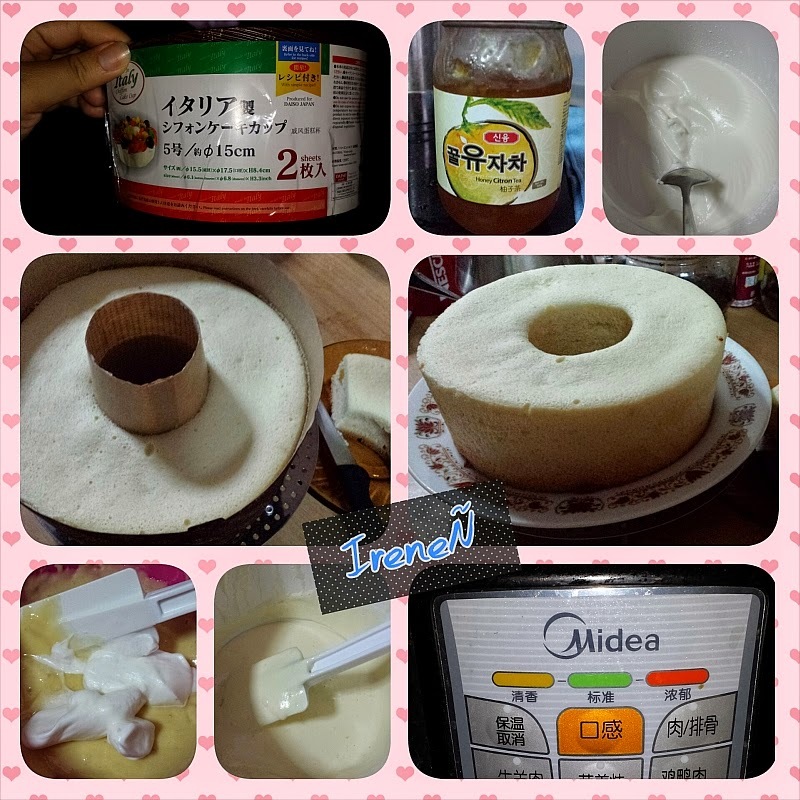 She was using her Zojirushi Induction Heating 3-cup rice cooker with baking function. 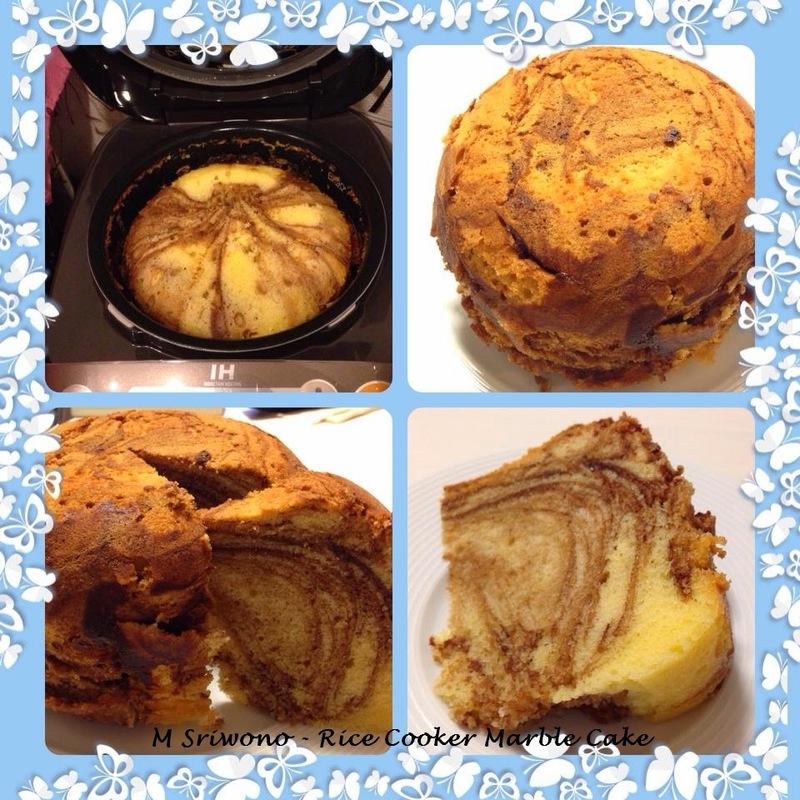 22) Rice Cooker Marble Cake by M. Sriwono (reader) based on my RCC #1 recipe. 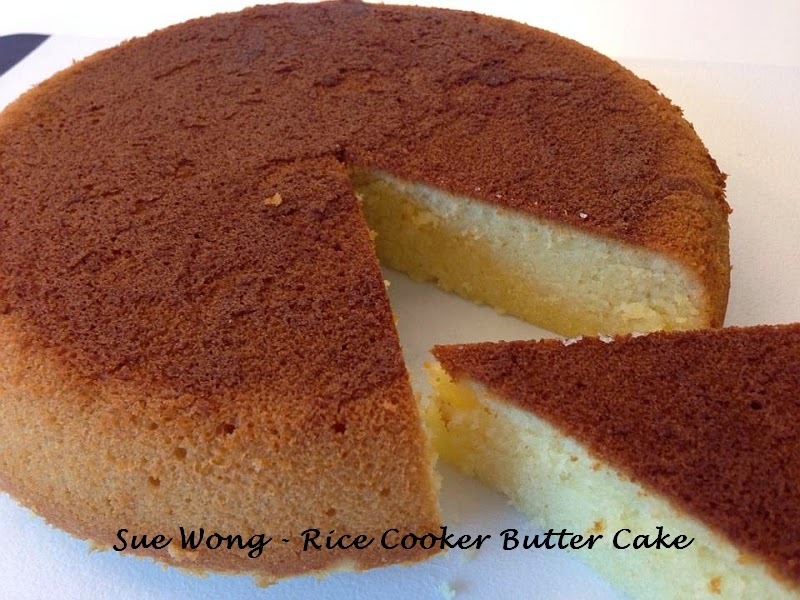 23) Rice Cooker Butter Cake by Sue Wong (FB group), based on my RCC #5 recipe. 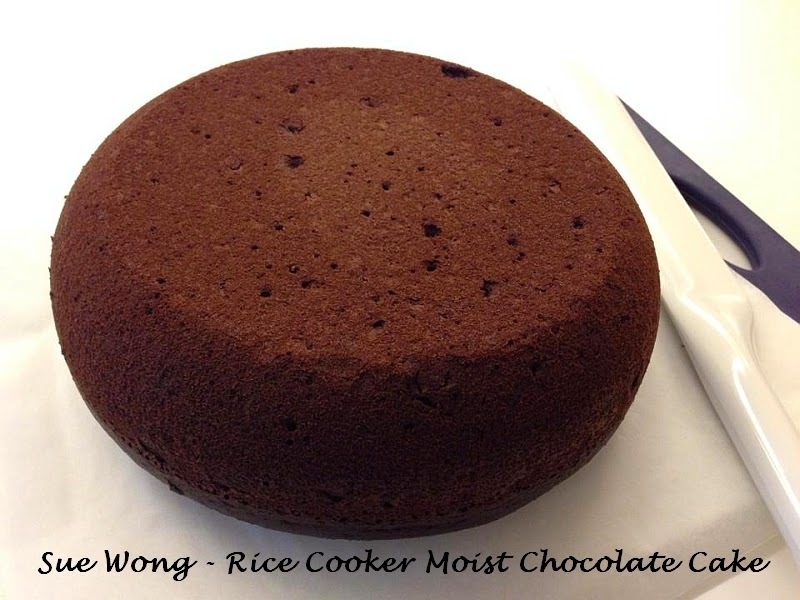 24) Rice Cooker Moist Chocolate Cake by Sue Wong (FB group), based on my RCC #6 recipe. 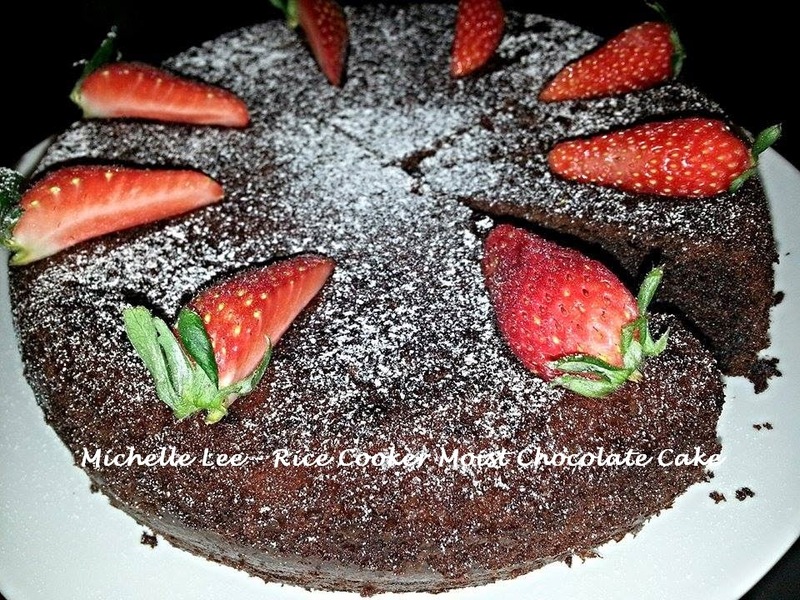 She was using her Philips digital rice cooker for this cake. 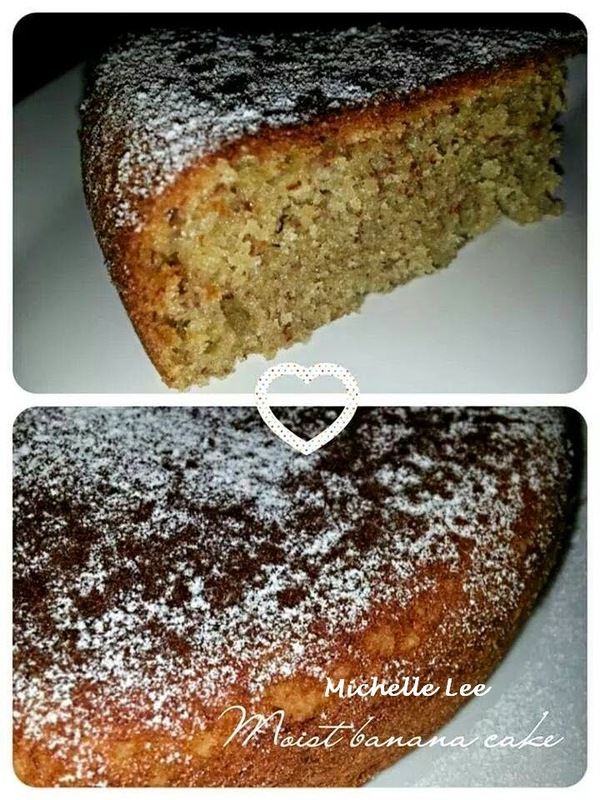 - Grate zest of lemon and mix into flour. - Squeeze the juice and set aside. - Beat eggs and sugar with mixer on high speed for 3 mins. If by hand whisk for 5 minutes until thick and pale. - Reduce speed to medium, add oil and lemon juice and beat until mixture is combined. 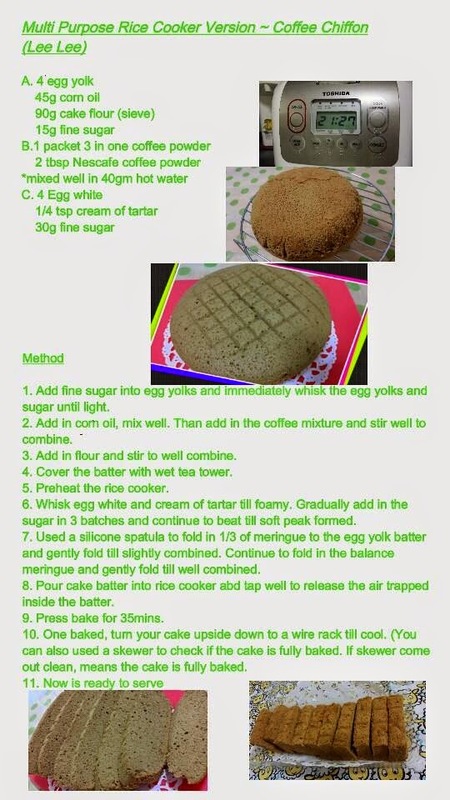 - Stir in flour and mix until just combined. 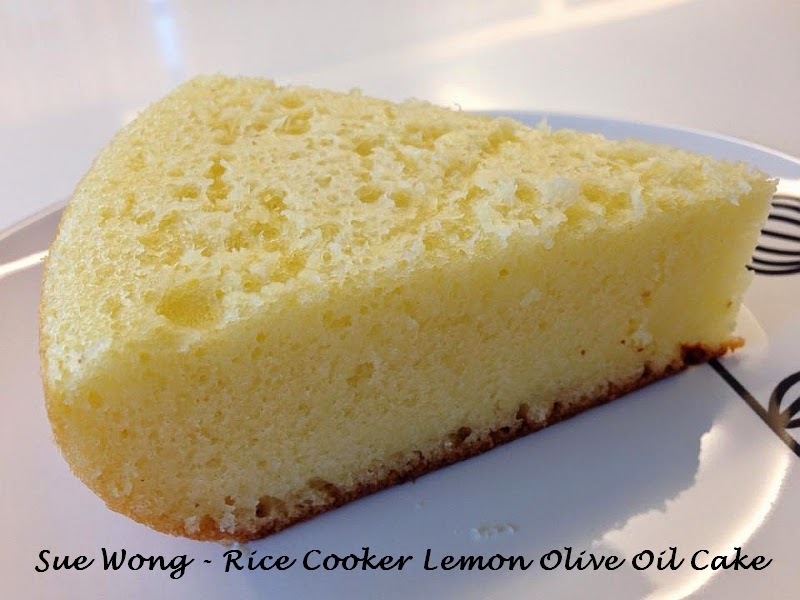 - Pour mixture into oiled rice cooker and set to cook for three cycles or 45 mins on digital timer. 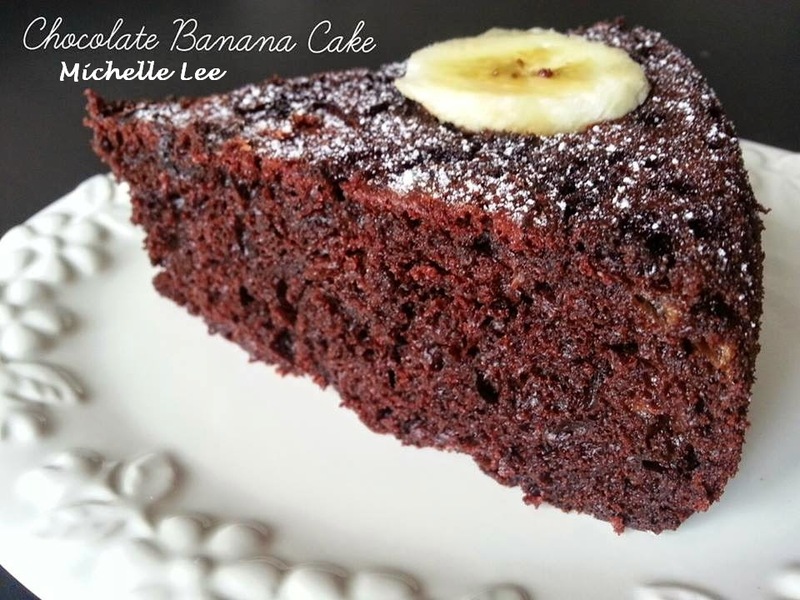 27) Rice Cooker Chocolate Banana Cake by Mel Gan (FB group), based on my RCC #13 recipe. She was using the same rice cooker as mine, Toshiba 5.5 cup without baking function. 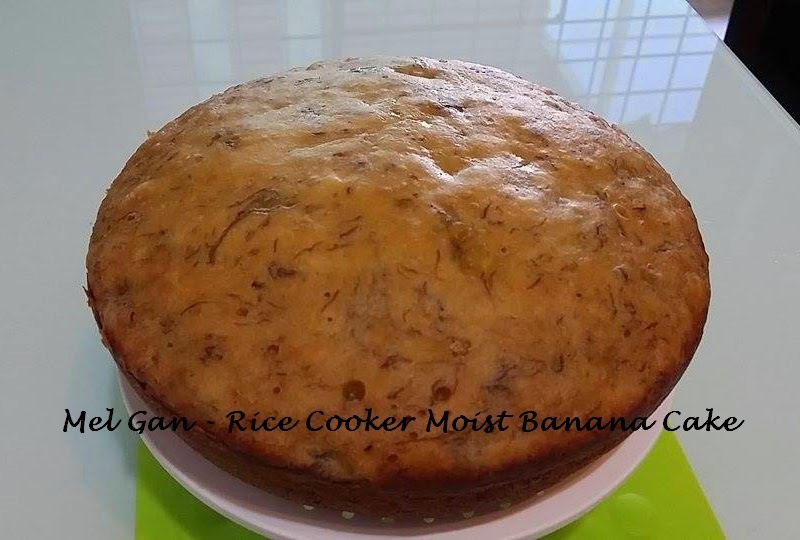 28) Rice Cooker Moist Banana Cake by Mel Gan (FB group), based on my RCC #4 recipe. 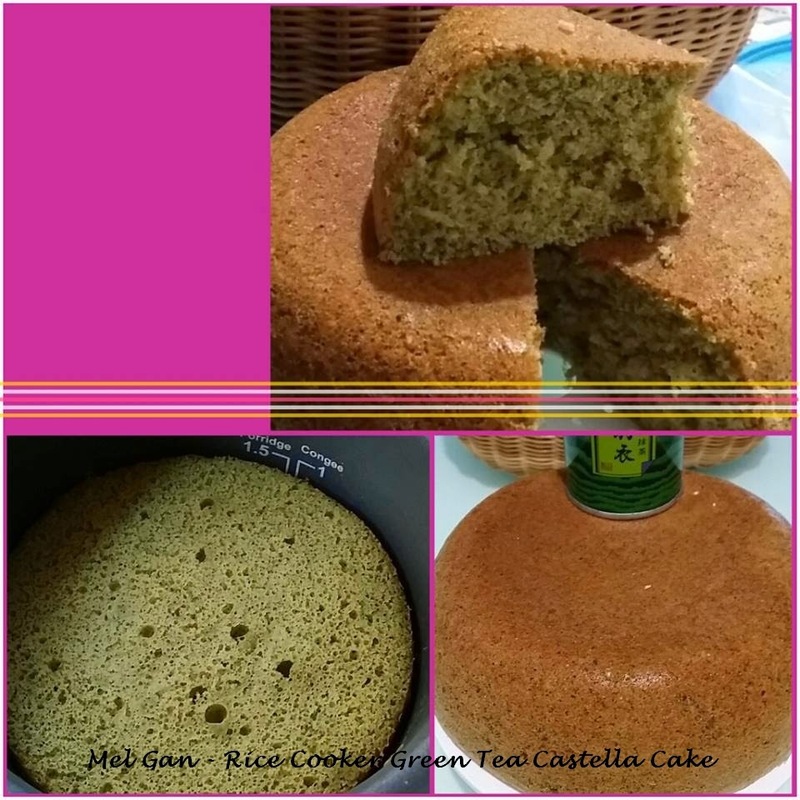 29) Rice Cooker Green Tea Castella Cake by Mel Gan (FB group), based on my RCC #7 recipe. 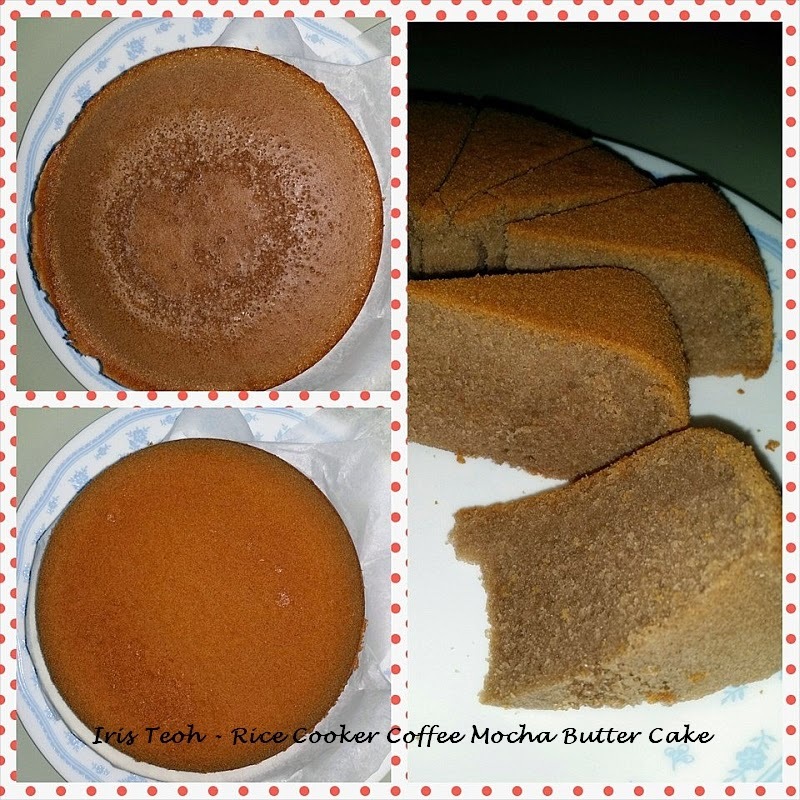 30) Rice Cooker Coffee Mocha Butter Cake by Iris Teoh (FB group), based on my RCC #16 recipe. She was using the same rice cooker as mine, Toshiba 5.5 cup without baking function. 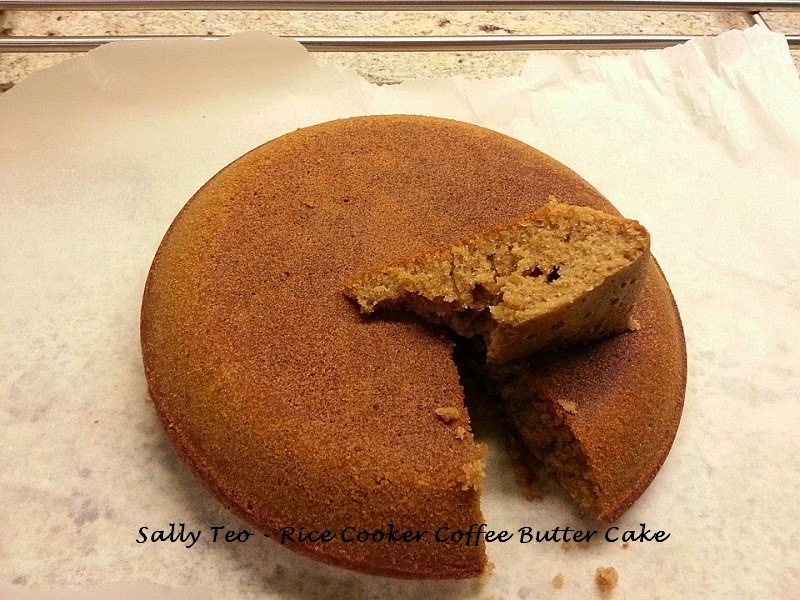 31) Rice Cooker Coffee Butter Cake by Sally Teo (FB group), based on my RCC #16 recipe. She was using her Philips 10-cup rice cooker with baking function. She used 1.5x the recipe and added Bailey's Irish Cream. 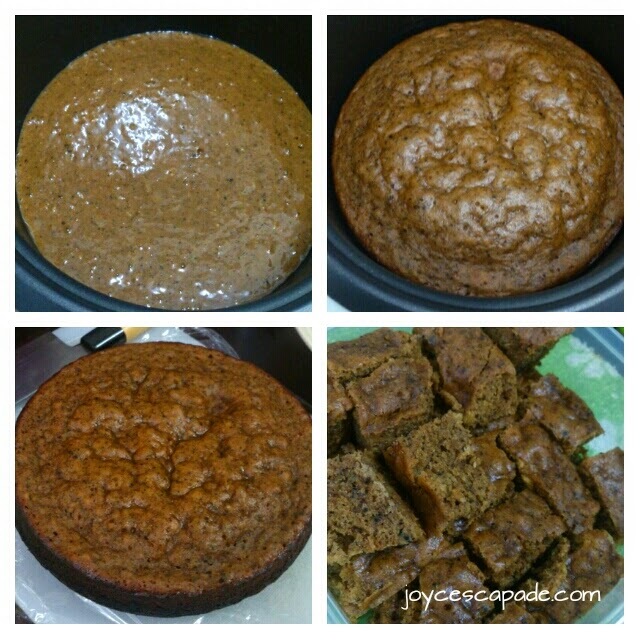 32) Rice Cooker Walnut Banana Cake by Sally Teo (FB group), based on my RCC #4 recipe. 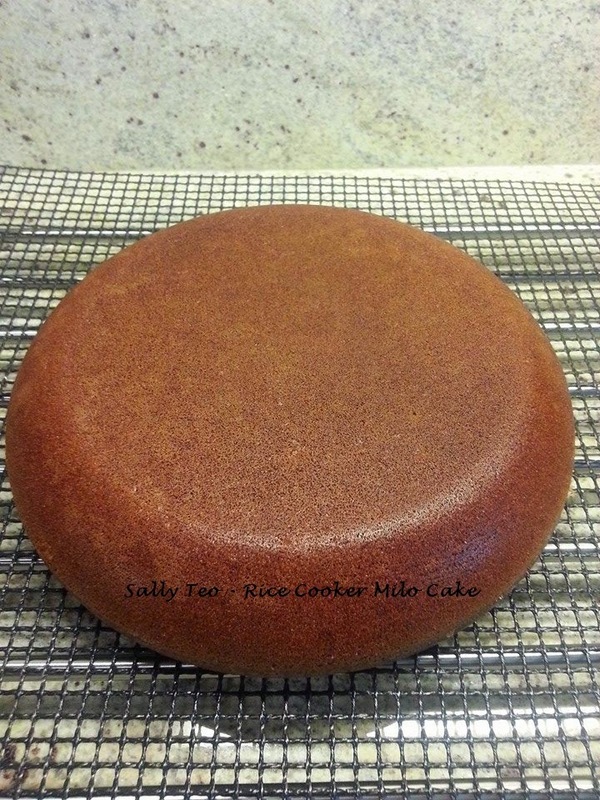 33) Rice Cooker Milo Cake by Sally Teo (FB group), based on my RCC #6 recipe. She changed cocoa powder to Milo, reduced sugar from 175g to 120g, but next time she will add more Milo, maybe 80g instead of 60g. 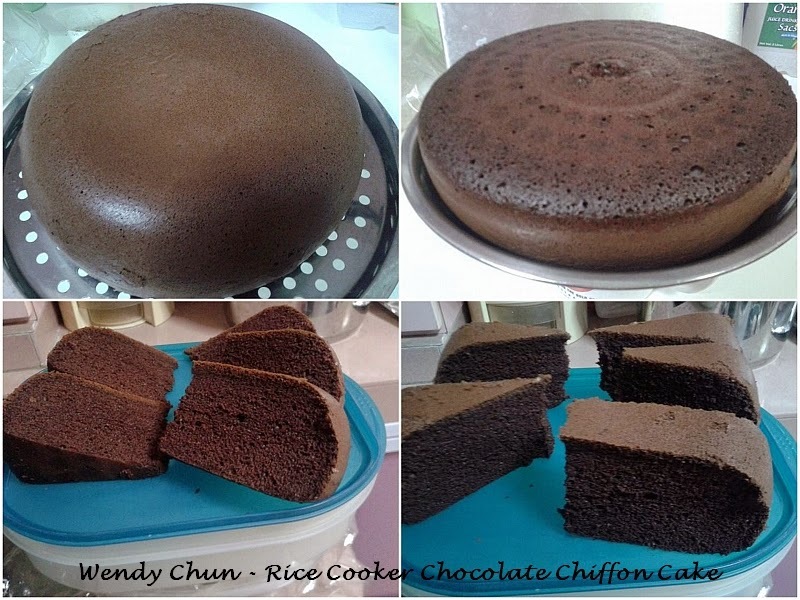 34) Rice Cooker Chocolate Chiffon Cake by Wendy Chun (FB group), based on my RCC #12 recipe. She was using her Toshiba 10-cup rice cooker with baking function, she followed the recipe exactly but replaced rum with milk. 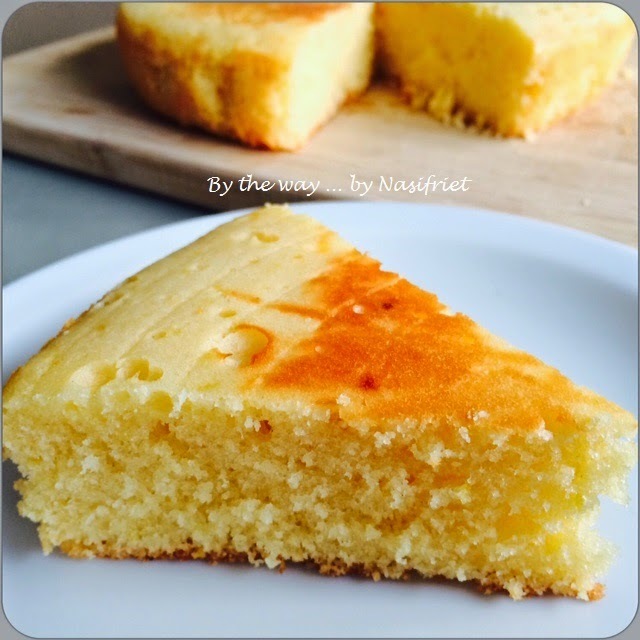 35) Rice Cooker Japanese Castella Cake by Wendy Chun (FB group), based on my RCC #7 recipe. 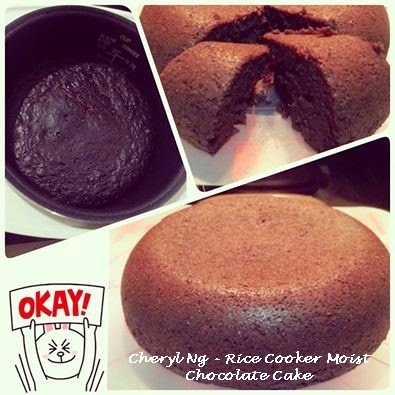 She was using her Toshiba 10-cup rice cooker with baking function, she doubled the recipe and baked for 1 hour. 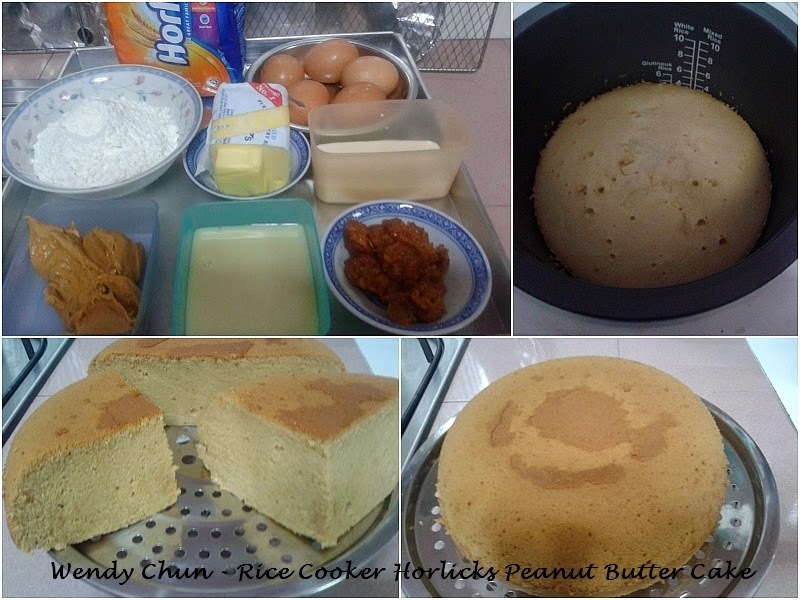 36) Rice Cooker Horlicks Peanut Butter Cake by Wendy Chun (FB group), based on my DDMT Steamed Horlicks Kaya Cake. 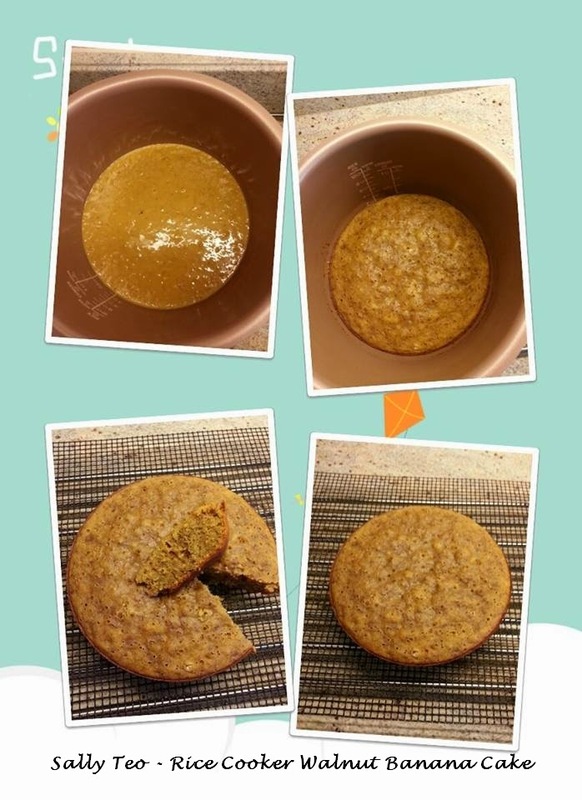 She was using her Toshiba 10-cup rice cooker with baking function, she followed my recipe exactly (using the 3/4 recipe), replaced kaya with peanut butter and baked for 1 hour. 1. Beat the egg yolks with balloon whisk and add in 45g of sugar. Add corn oil, milk, pandan juice and salt and combine well. Sift in cake flour and baking powder in 3 batches into the egg yolk mixture and mix well. Set aside. 2. Beat the egg whites with electric mixer until bubbles form. Add 40g sugar in 3 batches. Add cream of tartar. Continue to beat until stiff peaks form. 3. Using spatula, fold 1/3 of the egg white mixture into the egg yolk mixture. Lightly fold in the rest of the beaten egg whites until just combined. 4. 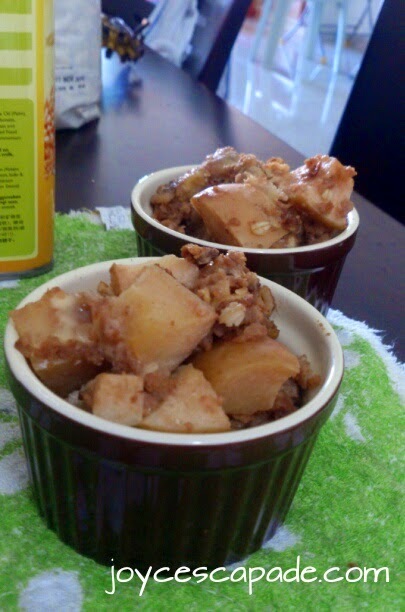 Lightly grease the rice cooker pot, pour in the mixture and bake for 38 min. 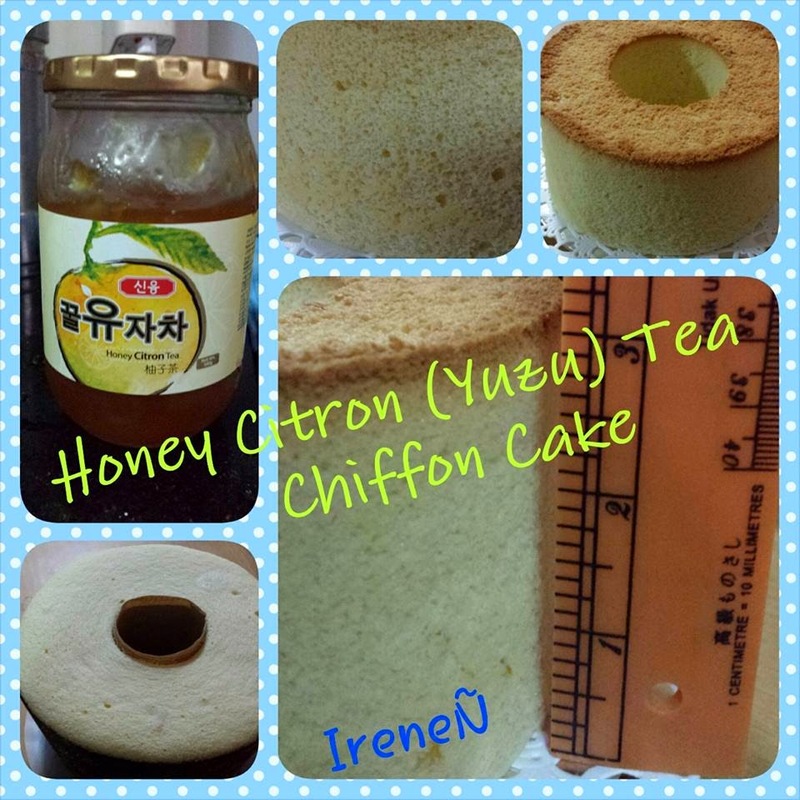 38) Rice Cooker Coffee Chiffon Cake by Lee Lee Law (FB group). She was using Toshiba 10-cup rice cooker with baking function. 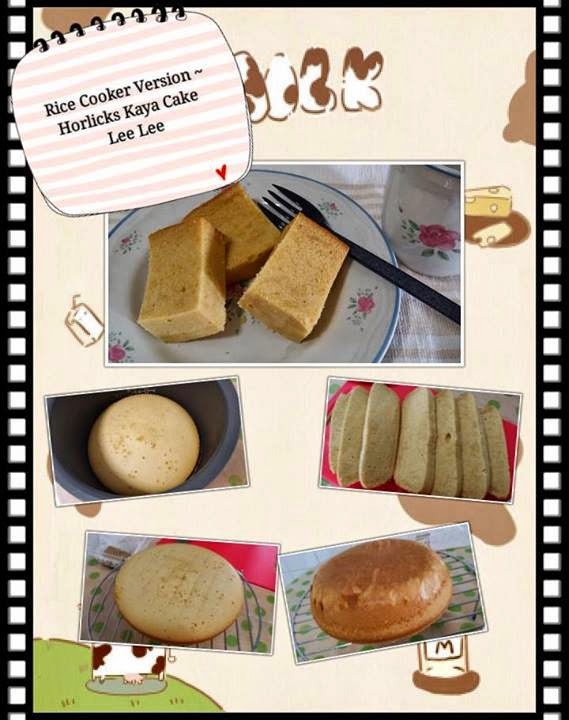 39) Rice Cooker Horlicks Kaya Cake by Lee Lee Law (FB group), based on my DDMT Steamed Horlicks Kaya Cake. 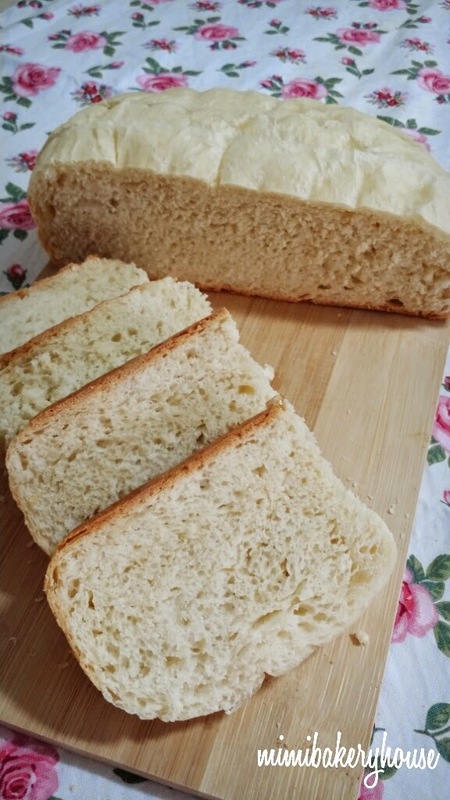 She was using her Toshiba 10-cup rice cooker with baking function, she followed my recipe exactly (using the 3/4 recipe), and baked it for 1 h 20 min. 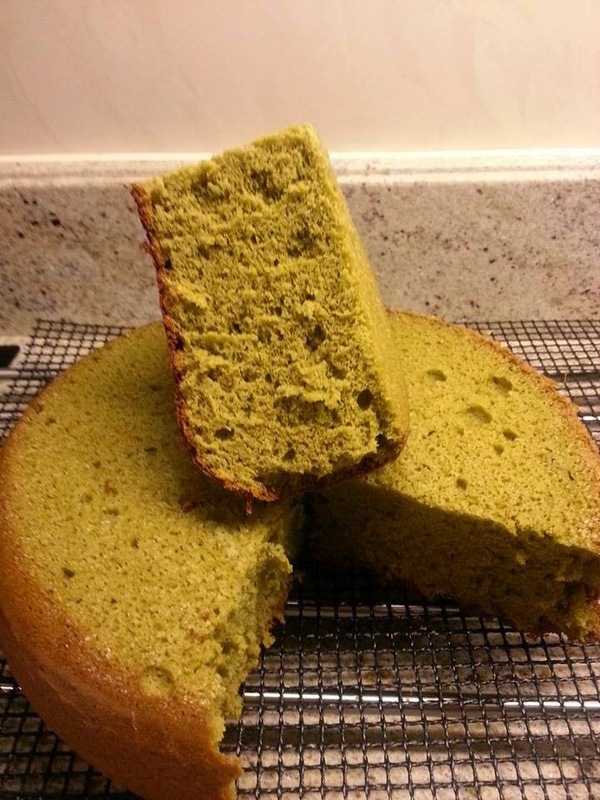 40) Rice Cooker Green Tea Castella Cake by Sally Teo (FB group), based on my RCC #7 recipe. She was using her Philips 10-cup rice cooker with baking function. congratulations on your successful event Ah B! i'm really looking forward to take part till i get my cranky rice cooker to work... please be patient with me.. but i definitely will, soon! There is so many successful RC bakes here! Amazing! Like to ask if there is Alex Goh event in June 2015? The blog hop on Alex Goh is up and running, you may access it here. I actually did a RCC at the last minute. 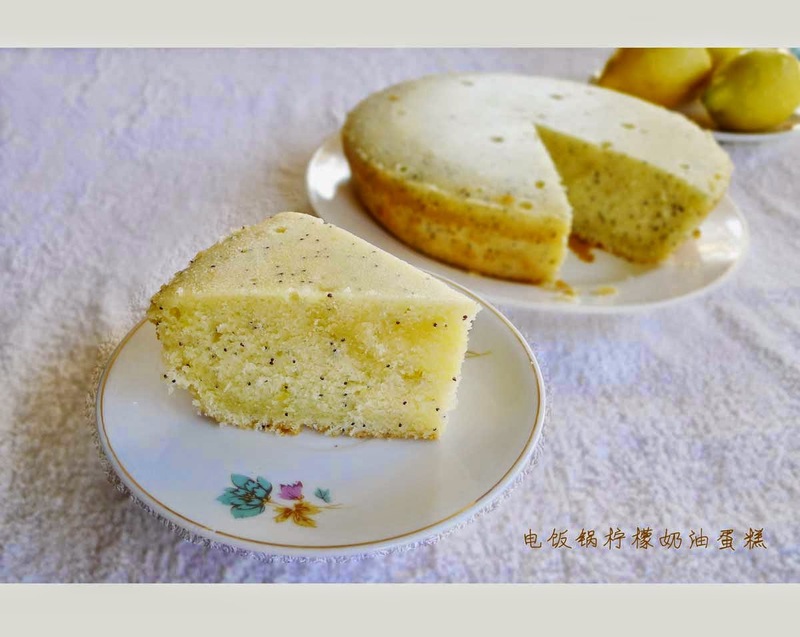 My cake is a steamed midnight cake. It is done in my mil's 17 year old one touch button RC. It took me 2 hours :p to get the cake done. But I am so late that i can't link up my post to your event. Hopefully I will be able to link my Alex Goh's event this month. Thanks ! It is so thoughtful of you. I will email to u soon. Some recipes do use cornflour instead of cream of tartar or lime juice to stabilise the egg white meringue during whisking. Actually even if you do not use any of the 3 ingredients, you can still achieve soft peak or stiff peak with the correct technique, a clean greaseless bowl and egg whites that are not stained with a trace of yolk. 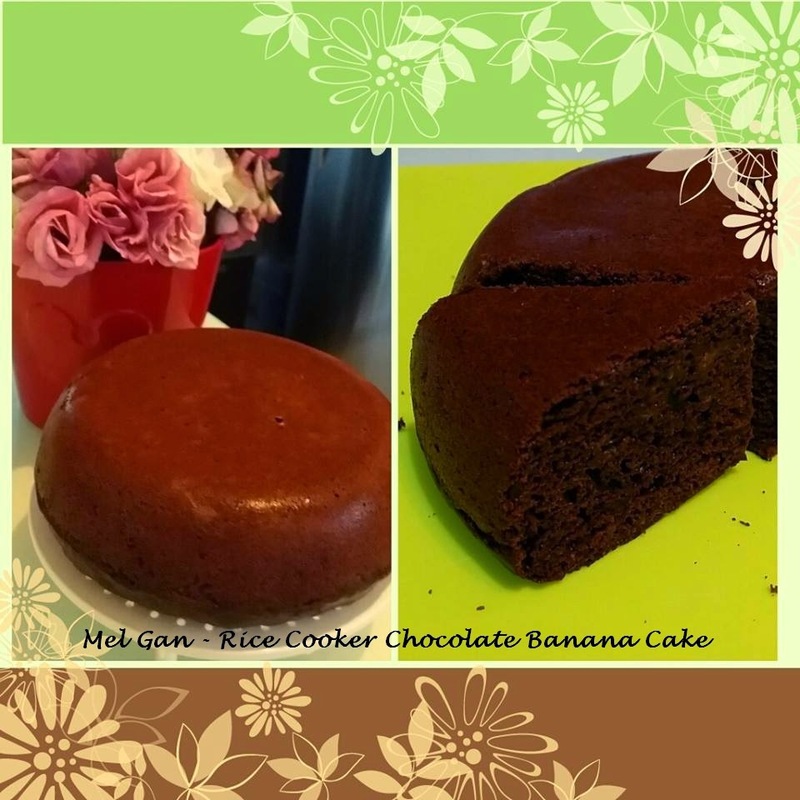 Are you using rice cooker to bake the cake? It could be that the cake is not entirely cooked yet and you opened the lid, causing cold air to enter and the cake would sink as a result. You could have turned off the cook button and leave the cake to keep warm in the cooker for a while , let it continue to cook using the remaining heat. Rice cooker baking is all about getting to know more about your rice cooker and its "temperaments"